-Starting a journal. Pen and paper. It doesn't get more real than that. We'll see how long I can keep it going. 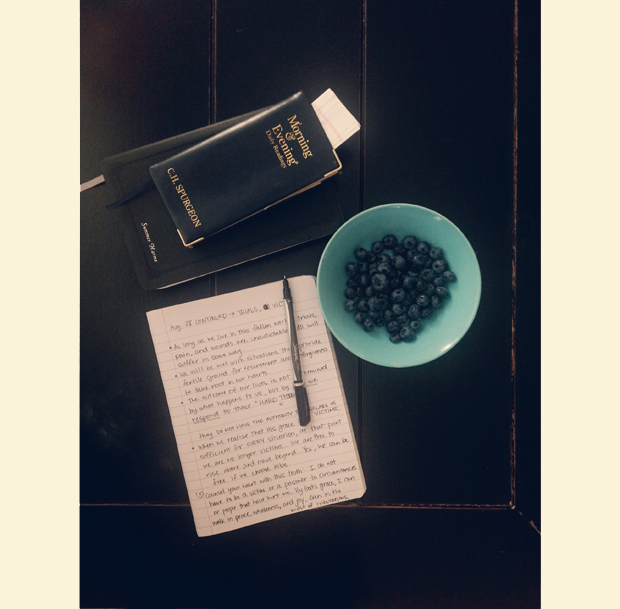 I'm mostly writing down things that I want to remember from my devotions, but also a few things about our day. -Realizing I'm actually 5' 7"! I've always debated in my head whether to say I'm 5' 6" or 5' 7"... I say 5' 6" on my drivers license because I can never remember which one is right. So I asked Grant to measure me the other night, to settle this matter forever. Result: I'm 5' 7". Which I'm 50x times more excited about now than I was in junior high! 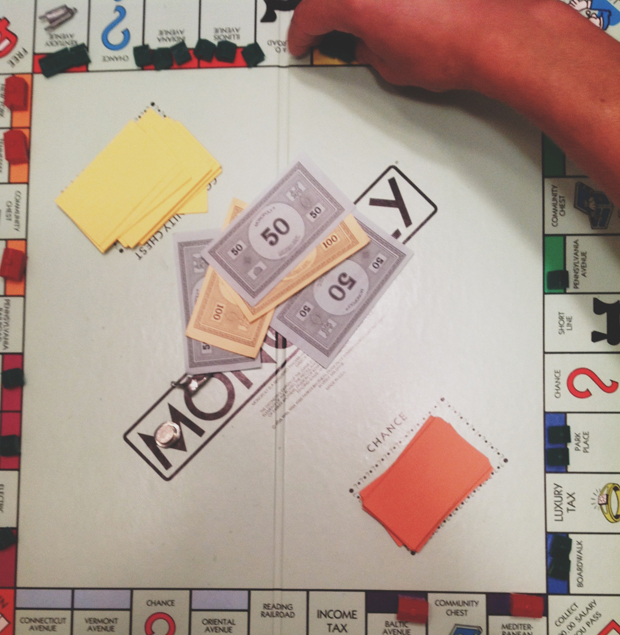 -Playing Monopoly with friends and actually FINISHING! -This article on being an introvert. I've always thought of myself as an introvert, but not the "recluse-social outcast-emo" stereotypical introvert. I love meeting people! I love long conversations! My favorite way to spend an evening is to have a lonnnnng meal and talk all night. But this article was so enlightening and I could relate to so many of these introvert-like things. It helped me understand how my loving people & table talk and being an introvert can totally jive. 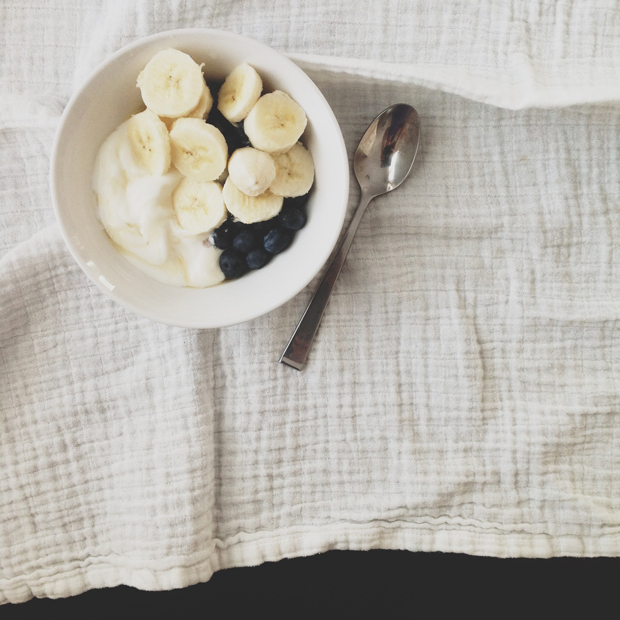 -Yogurt with honey/maple syrup + blueberries + bananas. -Watching the squirrels race up and down our walnut tree any time of day. The other day I saw two of them acting out the Sword in the Stone squirrel scene. -Betty Smith's Joy in the Morning. It's set in 1927 and the main characters (a newlywed couple) are constantly going out for coffee, a sandwich, and pie. I want to live in this book. -Lord of the Rings at night. all after 9:30 at night. -Hadley knocking on her bedroom door (from the inside) to let us know that she's awake and out of her big girl bed. 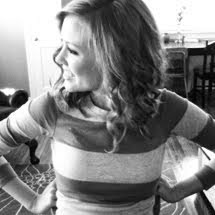 -Heading to a new Thursday night bible study with some great girls this fall. Thank you for the book idea, it sounds perfect! Secondly is that Charles Spurgeon book as good as I've heard? I've got Jesus Calling on my wishlist but wondering if I should add that too. Can't wait to see what this new little one will bring you as I'm deep in baby fever after number 1! Yay for Thursday night Bible study! How did you manage to get the network channels on your tv? Is there a special antennae you used? We can get PBS, but that's all. It would be great if we could watch football this fall. i also read that article about introverts and loved it. i feel the same way-- i've always known i was an introvert (consistently get the "I" on meyers-briggs tests), but i do love to be around people. small talk gets on my nerves but i was never able to identify that so clearly. 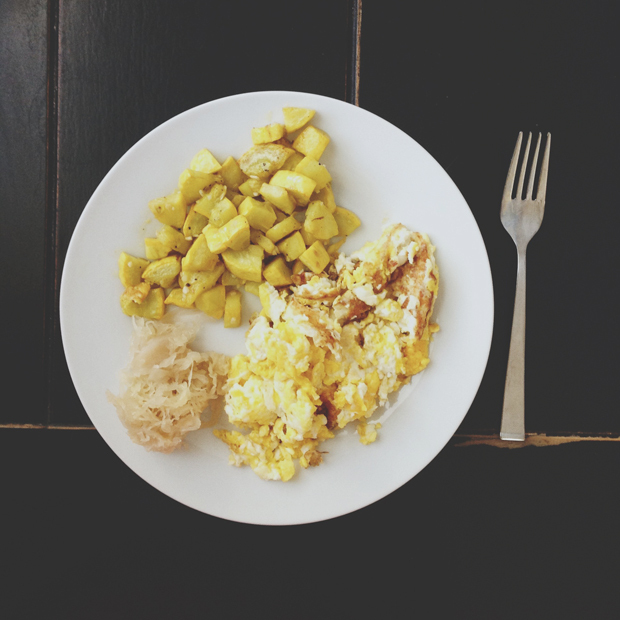 like you, an evening spent at a long, lingering meal, with good conversation, is pretty perfect in my book.